There is one hero that every villain in Gotham City fears, Batman. The dark knight spends his nights patrolling the streets making sure the citizens stay safe. 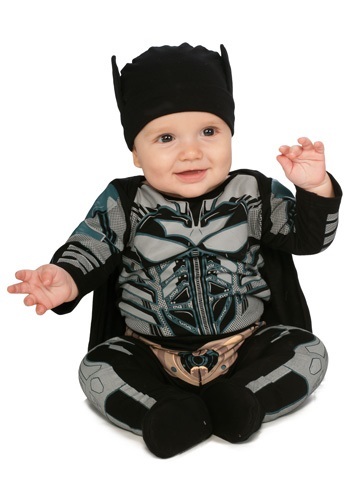 Now your tiny little tot will love being the caped crusader in this great Batman costume. Just remember, your child will be the hero your Halloween deserves in this superhero costume.